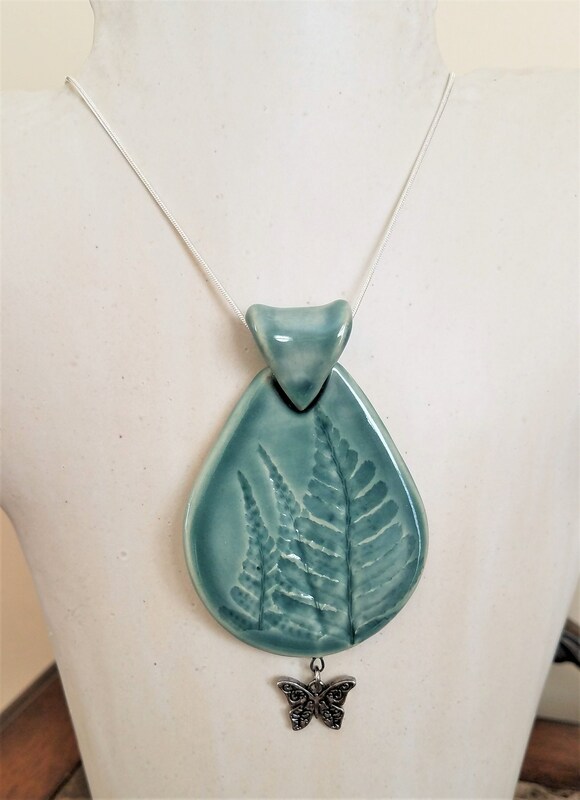 My fern pendants are perfect to wear with sweaters and tunics. 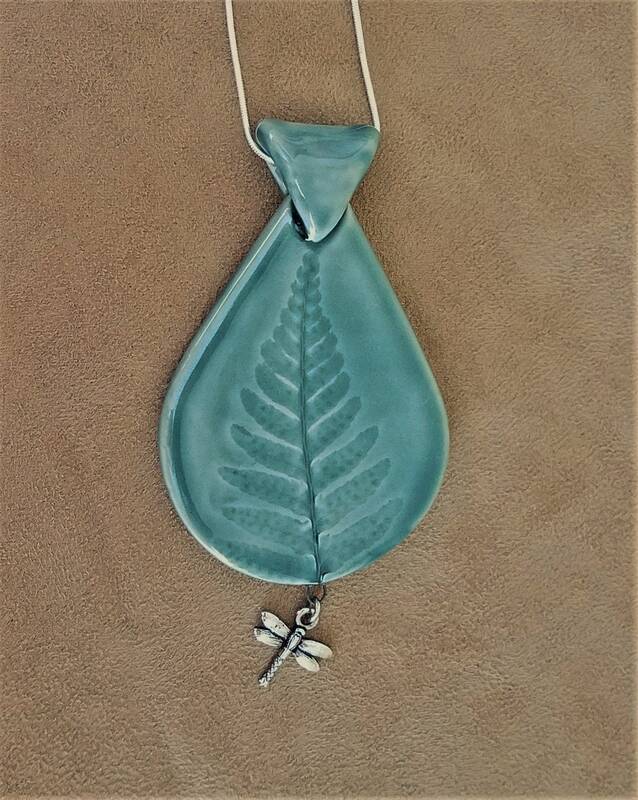 Handcrafted of stoneware clay, and textured with actual fern fronds, each pendant includes a charm that hangs from the bottom. 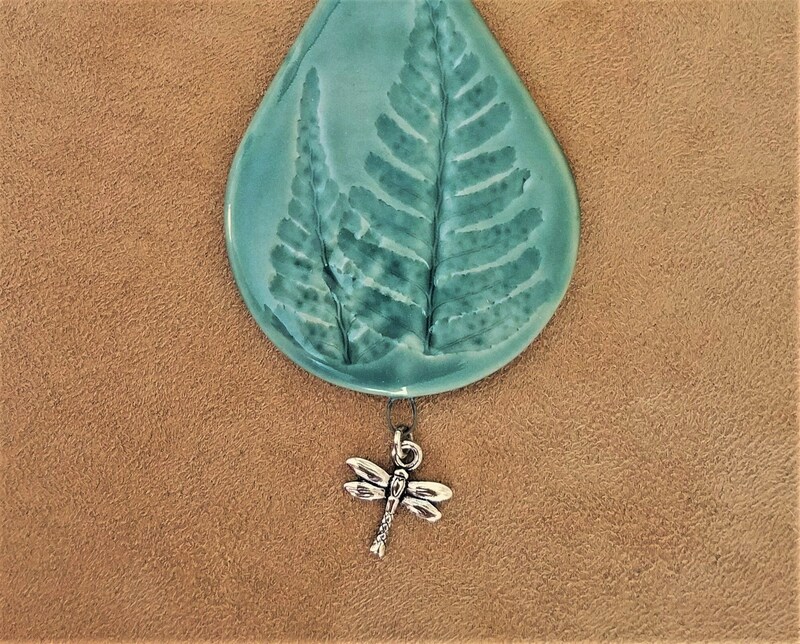 Choose a Dragonfly, Butterfly or Bee from the drop down menu. 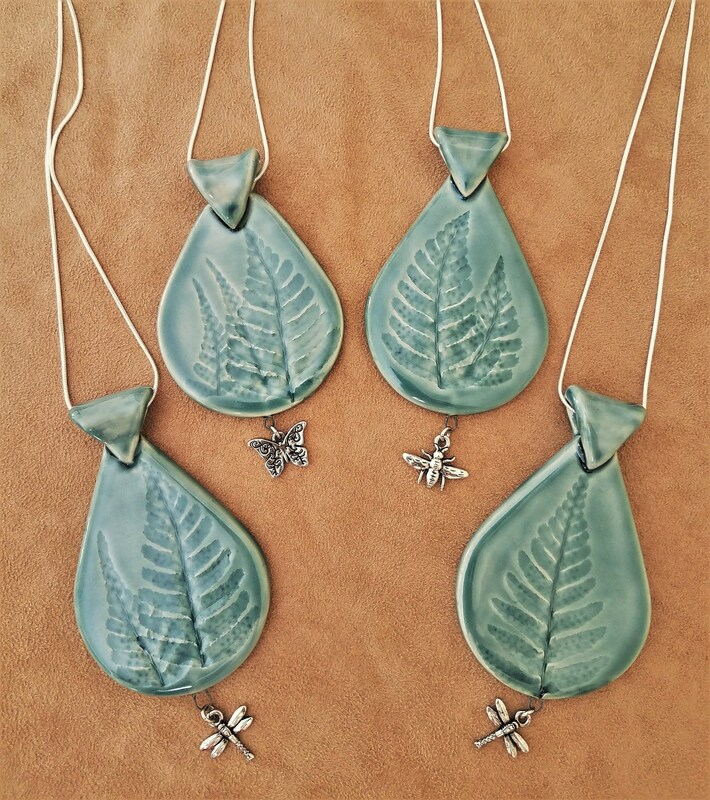 Glazed in a pale green, and kiln-fired to cone 5, these pendants look great when worn with tops or dresses. 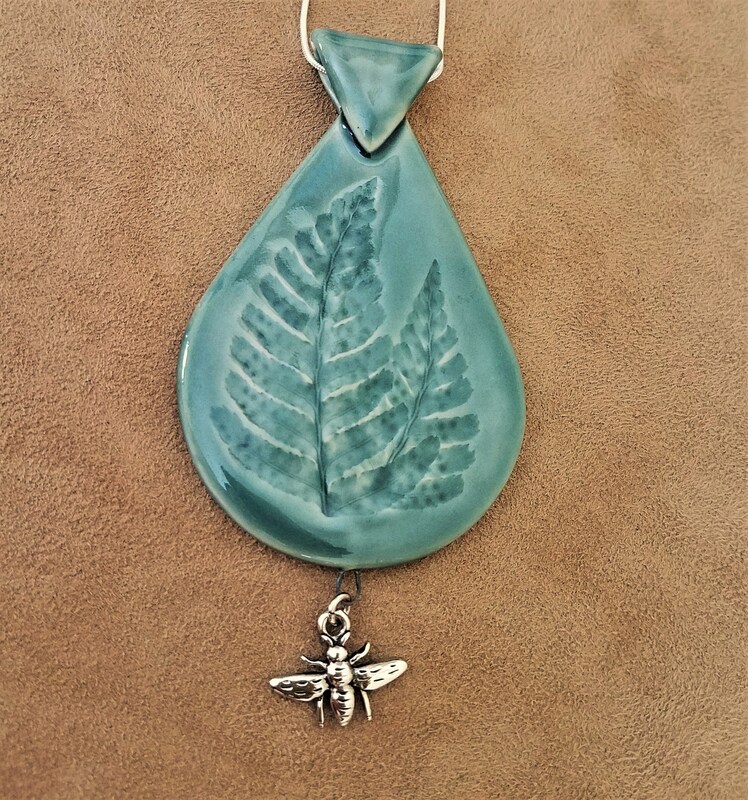 Each pendant comes with a 26" silver plated chain. 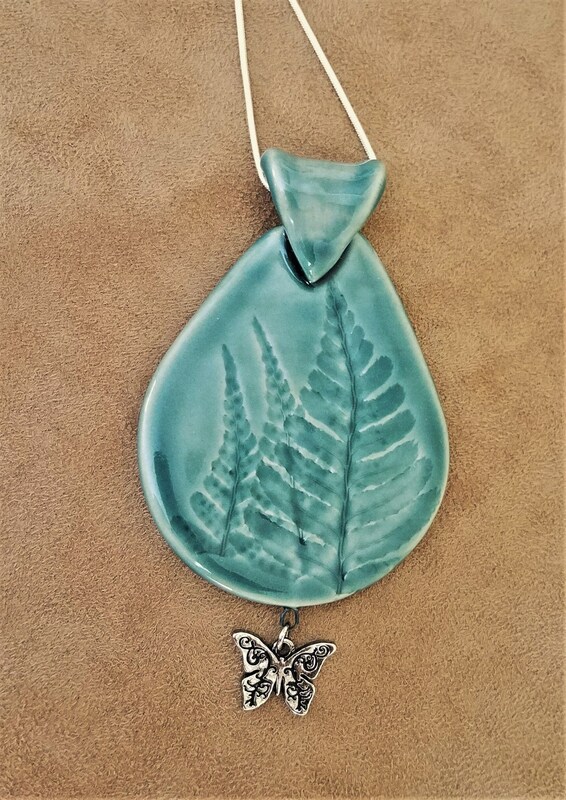 The handcrafted bail is large enough to accept an even larger in diameter chain or cord. 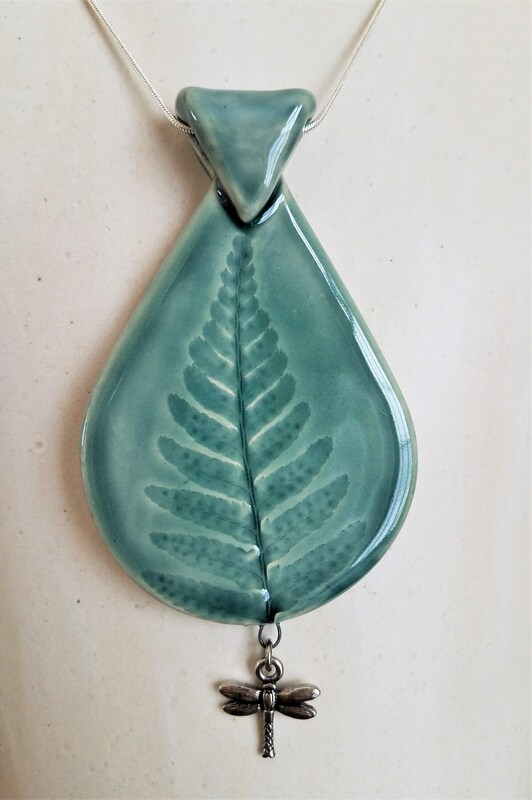 Easy to switch to match your outfit or your mood! 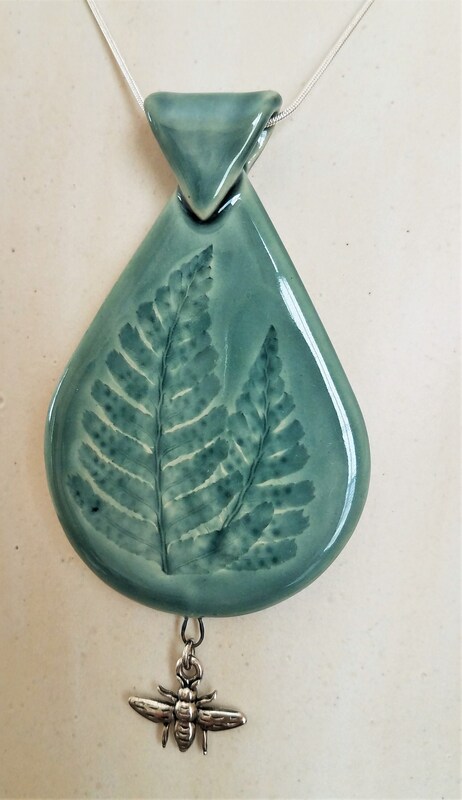 The pendant measures 3" x 2" including the bail.